In 2008, a very disgusting movie clip shown up on the Internet. The title of the clip was “3 guys 1 hammer” and was quickly spread widely. The content shook Ukraine and the rest of the world. And this was just an example of the murders that characterized the city of Dnepropetrovsk in the summer of 2007. Sensitive readers are advised not to read this article. The clip mentioned above leaked on the Internet in December 2008 and quickly created a debate about how free the Internet really would be. Few who saw the clip knew about the background or even the authenticity. The movie was completely genuine, so let’s return to the summer of 2007 and what resulted in 21 completely unmotivated murders. 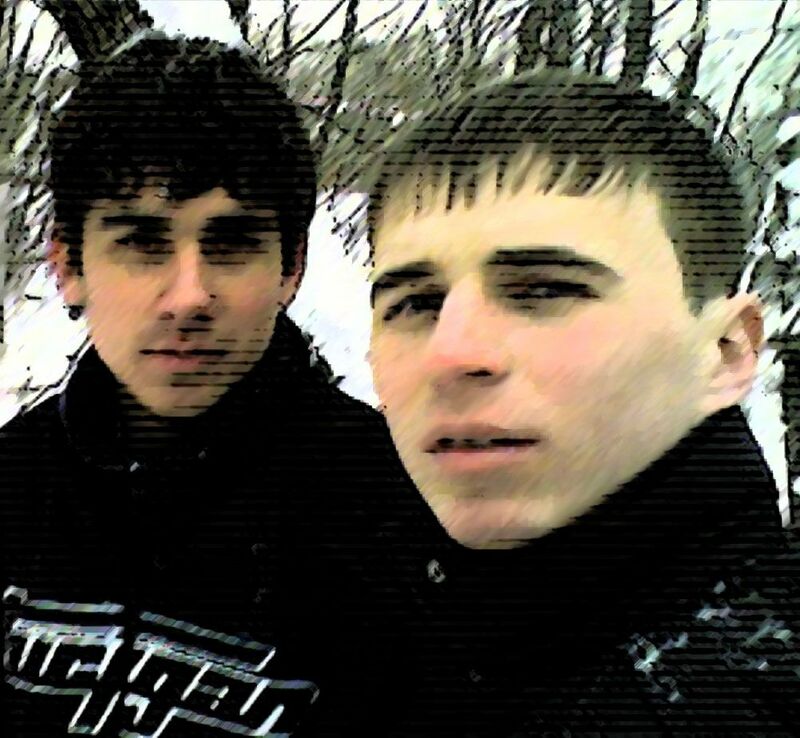 In the Ukrainian city of Dnepropetrovsk, there were two boys, Viktor Sayenko and Igor Suprunyuk. Through common sadistic tendencies, they had found each other. Initially, their activities were mostly about plaguing animals, but soon the interest began to be turned towards humans. None of the boys had a difficult childhood. They had been best friends since the age of seven, but nobody in the neighborhood knew their dark sides. In school, they performed poorly, and afterward, their parents have told that they spent more and more time on the Internet, looked in their rooms. 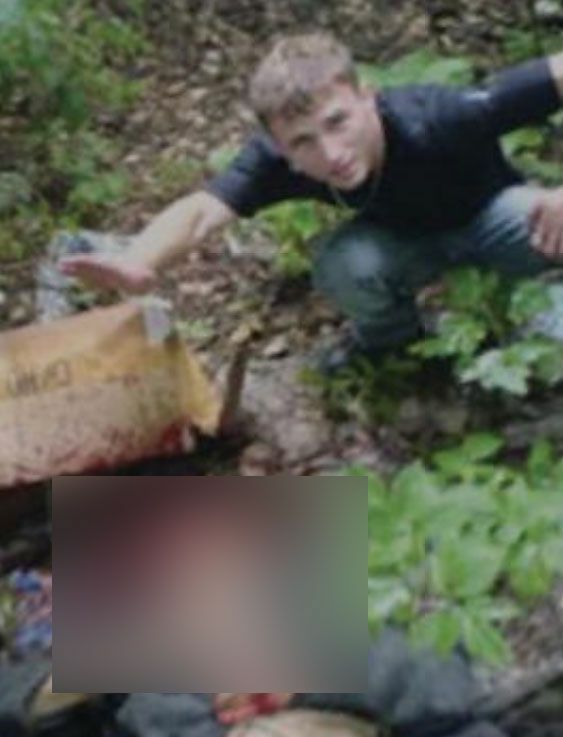 Later during the murder investigation, the police could locate lots of pictures where the boys posed with dead and mutilated animals. Finally, they got “tired” of only killing animals. Viktor and Igor were not driven by any sexual motives nor chose any special victims. The prosecution against both of them states that the murders were carried out for pleasure. On the 25th of June 2007, 33-year-old Yekaterina Ilchenko goes through the streets of Dnepropetrovsk. She has visited a friend. At the same time, Viktor and Igor strive to find their first easy victim. Yekaterina passes a tree with low hanging branches and the same moment, Igor throws a hammer that hits the head side on Yekaterina. He snaps his face with the hammer and empties her pockets. Yekaterina is found in the morning by people who are on their way to work. The murder victim’s mother lived further down the street where the murder occurred. To the media, she tells that her daughter had no visible face anymore. It was so shattered. Affected by the first kill they decided to extinguish another life on the same night. 90 minutes later they meet at Roman Tatarevich. His face turns unrecognizable in the same way as Yekaterina, which prolongs the time to identify Roman. At first, the police see no connection between the murders. In the next 15 days, these monsters would be guilty of 21 murders and a number of assassination attempts. One of the lucky ones in the meeting with the boys was Lidia Mikrenischeva. She had turned 70 and was out and walking her dogs when she saw two teenage boys approached. The boys photographed her but she believed they photographed houses behind her. In fact, they photographed her … Their desire was to get pictures of the victim before the attack. She begins to be worried that their intentions are not friendly and suddenly she gets a hammer in the back of her head. She falls unconsciously to the ground. At the same time, her dogs react and go to attack. Viktor and Igor try to shoot and chop the dogs while they are recording with their mobile phones. The dogs barking now begins to draw attention and the boys choose to run from the place. On the spot is Lidia left lying unconscious. Two of her dogs are dead while one survived. Lidia wakes up later but is severely injured. She has no jawbones left. The police suspect that the perpetrators tried to steal her golden teeth. They have kicked in her mouth. As mentioned earlier, the boys filmed their murders with mobile phones. In the course of the trial, the most noted movie leaked out. In it, you see a terrible fate that hit Sergei Yatzenko. From the movie that was also shown during the trial. Igor and Viktor walked around the country road outside the city. They were looking for another easy victim. In the movie they simultaneously record, they first discuss how to do. Viktor puts the camera in front of the binoculars to show different victims they are spying on. The atmosphere is relaxed. The two killers are bored and do not show any reaction about that they are trying to carry out a murder. Cars and lorries pass by. They target someone who is lonely and not that big. Suddenly they see an older man coming on a moped. It’s Sergei. They see him coming closer and Igor puts the hammer in a yellow plastic bag that they carry. When Sergei is about to pass, Igor strikes the bag against his head. Sergei falls off the moped and gets caught in the forest. While the mobile camera is recording, they continue to hit him, they squeeze a screwdriver in his eyes, into the stomach and open up a part of the brain. Had you not known that these disturbances were true, many had rejected this as a cheap horror movie. Meanwhile, these cruelties are going on, the killers talk to each other in an almost everyday tone. Their way to speak reveals a fascination and sense of power that the killing appears to be a game. WAIT, WAIT, WAIT! DON’T HIT HIM…LOCK AT HIM. HE MOVES HIS ARMS DISPITE I CUT HIS VEINS. HE’S NOT DEAD AND I HAVE EVEN PICKED HIS EYES OUT. I PUSHED THE SCREWDRIVER INTO HIS BRAIN. I GOT IT DOWN FROM THE EYE TO HIS NOSE. I DON’T UNDERSTAND. HOW DID HE LIVE? I TOUCHED HIS BRAIN. ALRIGHT, LETS TAKE A PICTURE. The two boys had been ravaged for almost two weeks. No one had suspected them. An enormous tragedy had hit randomly selected victims, consisting of homeless, elderly people, children, and a pregnant woman. On July 7, 2007, runs the fourteen-year-old Vadim Lyakhov in panic to the village Padgorodnoye. He is in shock after seeing his friend be murdered out in the woods. They had been fishing at a lake. From the bushes suddenly two older boys had arrived and started attacking them for no reason. Lyakhov’s friend was killed immediately, but Lyakhov managed to escape. Now he ran directly to the local police to tell what happened. At first, the police were suspicious about his story. They thought it was he who killed his mate. However, more witnesses appeared. They had camped nearby and heard the noise. The police now realized that this could be linked to the other unresolved murders in the region. To the benefit of the police, Lyakhov could provide a detailed description of the perpetrators. One evening went Igor Suprunyuk into a pawnshop and tried to sell a mobile phone that came from one of their murder victims. Igor did not seem to care about the risk of selling a murdered person’s possessions. The staff at the pawnshop became suspicious. When Igor came out on the street, a large number of policemen rushed ahead and grabbed him. His accomplice, Viktor, who was waiting for Igor to bring the money was also arrested at the same stage. There was no doubt that the killers had been caught. Igor was charged with 29 crimes and Viktor at 27. Among these points were multiple murder, theft, robbery, assault, and cruelty to animals. Igor and Viktor in the courtroom. At their home, they had never made any effort to hide traces from the crimes. The police found clothes with blood stains, things stolen from their victims and film material from the violence. The Defense Attorneys of them both attempted to claim mental illness to alleviate the punishment. The video was, however, such a strong evidence and did not lead to anything. The films clearly show how calm the two killers were and do not act in a crazy or confused manner. Why two boys, no one noticed before, started this murder spree, never emerged during the trial. The victims’ relatives may never know the reason for the killings. Were they simply born evil? Viktor Sayenko and Igor Suprunyuk were sentenced to life imprisonment. The parents of the murderers still claim that their children are innocent. 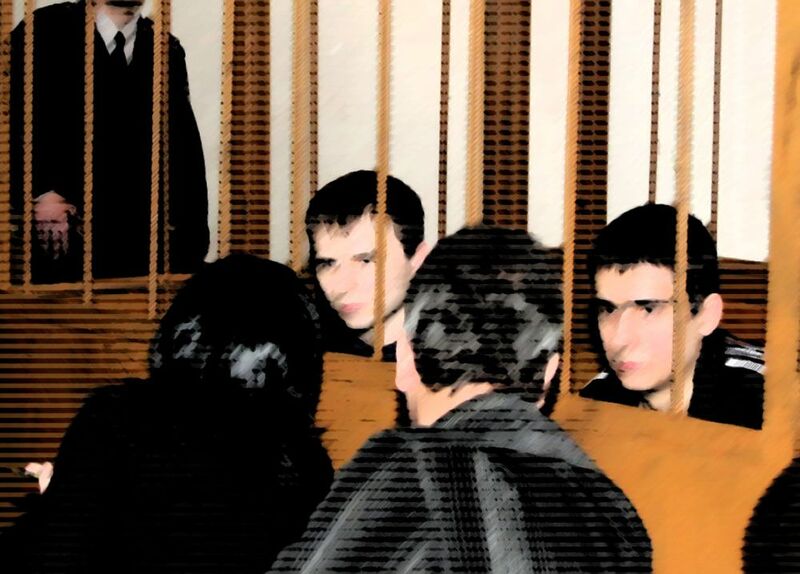 During the trial, Viktor’s father denied that his son could be a mass murderer. Instead, he claimed that the police protected the actual offenders and that the pictures found in the boys’ computers were edited in Photoshop. Next article How To Travel From Bucharest To Chisinau In Moldova?